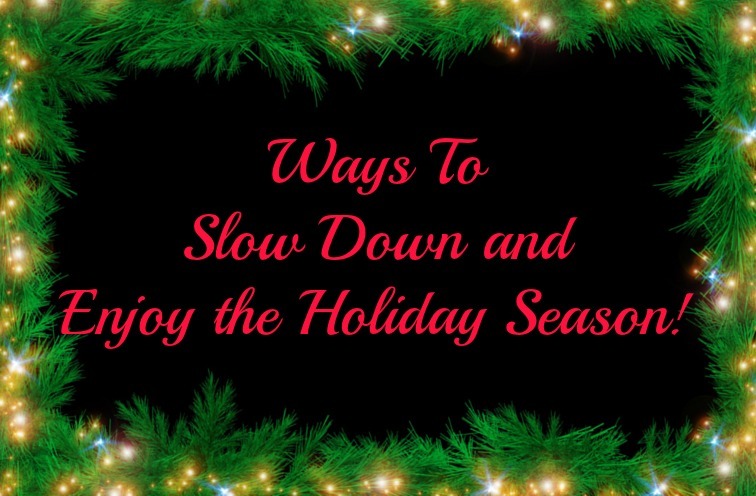 Ways to Slow Down and Enjoy the Holiday Season! Can you believe that Thanksgiving is this week already and that Christmas is just four weeks away? Fall has been flying by and it seems like my to-do list for the Holidays is just getting longer. It is easy this time of year to get caught up in all that we have to do but we also have to make sure to take time to savor the holiday and enjoy it through the eyes of our children. 1. During the month of December we like to take time each evening to sit and snuggle up on the couch and watch holiday movies on TV. It is a great way to unwind after a busy day. 2.Take the time to bake holiday cookies with your children. Every year my kids and I get together with my mom to bake Christmas cookies. It is three generations of bakers all in the kitchen. It is a great tradition that all of use enjoy. Even better? Making cookies goes faster when there are more adults so you can get lots of cookies made in a day. 3. Add some significance to the countdown to Christmas by using an Advent calendar. 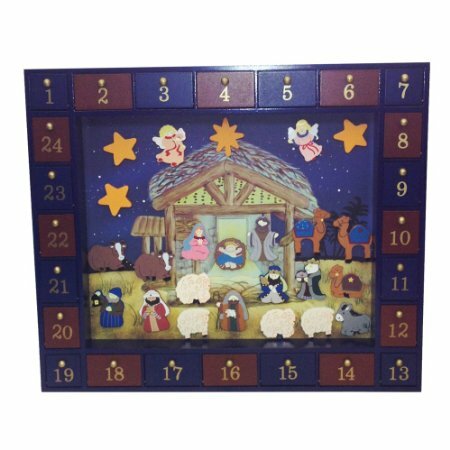 We love this Wooden Nativity Advent Calendar with 24 Magnetic Figures and my kids look forward to opening our Advent calendar each day. In fact, we have four different Advent Calendars that we open each day–that is how much we enjoy it! Have you heard of Merryam, Santa’s Secret Elf? Click here for information about this awesome advent calendar! 4. Finally, we love to get in our jammies, make some hot chocolate and drive around our town checking out holiday light displays while listening to carols on the radio. We all ooh and ahh over the pretty lights and talk about which ones are our favorites. It is an inexpensive way to enjoy the holiday. What do you do with your family to slow down and enjoy the holiday season? With a toddler, some of these are not real practical this year. But I absolutely love the holiday lights idea! We will have to find them quickly though, because the car puts her to sleep.